The back seat of James Gilman’s* car is filled with stolen meat, about $150 worth of prime-cut beef, as he whips his silver Chrysler into the side yard of a nondescript house in Mechanicsville, slams it into park, and jumps out the driver’s side door. “This is my meat guy. Then I got a guy I sell tools to. I got a guy for everything,” he says, scooping up packs of steak and heading for the front door. He means he knows people that will pay him—in either drugs or cash—for just about anything he brings them, regardless of how he acquires it. He hates thieving, he says, but he just got fired from a gig doing maintenance work, and even when he was pulling a $600 paycheck weekly it was hard to keep pace with the drug habit that’s been running his life. For Gilman, that mostly means shooting heroin, or at times prescription painkillers, though the pills tend to cost more and wear off sooner, he says. Today he’s landed a 30 milligram “Roxy,” or Roxicodone, a narcotic pain pill that Meat Man offered in lieu of cash (he also got $30 and a bag of clean syringes out of the deal, about half of what the meat would sell for in store). Gilman pulls his car behind a mostly boarded-up house nearby, drops the pill in the fold of a $10 bill, and uses a lighter to crush it against the dash. He dumps the powdery substance into a bottle cap filled with water and draws the greenish liquid into a syringe. It only takes a few seconds for the drug to kick in. He’s not high, but says he feels less agitated, noticeably calmer. The cold sweats, jitters, and other symptoms of withdrawal ease as he leans back in the seat of his car. Gilman, now 28, has been using opiates since he was 13 years old, then an eighth grader in Massachusetts public school. He first tried it to fit in, at the advice of a friend, and didn’t think much of it. But since then it’s been a near constant in his life—and his foray into drug culture hasn’t been limited to heroin. Today he says he feels like smoking crack, in part because he owes “Dope Man,” his heroin dealer, $40 and only has $15 left in pocket. He’s only been clean during stints in jail, but recently he made it nearly a year sober on his own after going through a Johnson City recovery program. He relapsed in March following a major surgery. He was given morphine and later prescribed Percocet, an opiate-based pill, to help manage the pain. Relatively clean-cut, Gilman is a high school graduate from a stable, working-class family. His parents, who live in South Carolina, just celebrated their 30th wedding anniversary. He keeps his hair cropped short, today wearing a pair of brown shorts and a gray T-shirt that are fresh and unstained. Aside from small bags under his eyes (and a laser focus on finding his next fix), you might never suspect the life Gilman is leading. His story is unique and personal, but it’s not unlike the challenges and spiraling life choices faced by thousands of others in East Tennessee (and tens of thousands more around the country) since prescription opiates, and more recently heroin, have become widely available. It’s been a trend well documented over the past decade, as the human toll has slowly crept up and the scourge of drug addiction has touched more and more families. There are a number of contributing factors that have led to an explosion of opiate use in Knox County and across the nation in recent years. A majority of people that end up on heroin start by using opiate-based prescription pills, state health officials say, and nationally Tennessee has been among the top states for the number of opiates prescribed. Within the state, a larger percentage of people died from opiate-induced overdoses in Knox County in 2014 than any other metropolitan county in Tennessee, the most recent data shows. Opiates, or opioids, are blanket terms covering a wide variety of drugs, both legal and illegal, derived from opium, which comes from the poppy plant. They include prescription pills like Percocet, oxycodone, and fentanyl, and also heroin. Opiates work by attaching to specific proteins found in the brain and elsewhere in the body called opioid receptors, which reduces a person’s perception of pain and can trigger a sense of euphoria. At least for a while. They are also potentially addictive, and people that take increased amounts or ingest them in ways not prescribed (such as snorting or injecting them) run an increased risk of overdose or other medical complications, various studies show. Since 2011, state legislators have been making policy changes aimed at stemming the flow of prescription painkillers from pharmacy to street, trying to strike a balance between cutting abuse while not blocking medications for legitimate patients. Some experts say cutting off pill pipelines will lead more people to turn to heroin, at least in the short term, and some trend data shows that holds true. But the outstanding question is whether these policy changes, coupled with treatment options and the criminal justice system, will be enough to turn the rising tide of opiate use and addiction in some of the state’s hardest hit communities, like Knoxville. Gilman came to East Tennessee in 2013 to get clean, but ended up stealing to fund his drug habit. He eventually landed in jail on 16 felony theft counts, pleaded guilty to two of those in court, and spent most all of 2014 behind bars. Now, he expects to celebrate his 29th birthday in jail. Or perhaps he’ll hit the road and head out west to visit some friends on the California coast. Or maybe he’ll get back in rehab—he knows a place he could get in today, if he wants. But today he can’t bring himself to face those demons, not again, at least not yet. His options are wide open, really, but the sirens’ call of the needle keeps dragging him back into a vicious circle of addiction day after day, heist after heist, hit after hit. He’s stuck in purgatory, though he may call it hell, looking for a way out but unwilling, or unable, to take the first step. E.M. Jellinek Center in North Knoxville has a waiting list of about eight months for a bed in one of its halfway houses. Knoxville police in recent years have seen more heroin of higher potency finding its way into town, usually shipped in from Detroit or Atlanta, according to KPD Chief David Rausch. There are plenty of parallels between the proliferation of opiate prescriptions and the rise of heroin as a drug of choice, but it’s tough to say conclusively what is driving the surge, or why Knoxville in particular has been so hard hit. Some officials say it may be our nexus with major interstates like I-40 and I-75 and our position as a gateway to Southern Appalachia, a region that has grappled with substance abuse and poverty for generations. The New York Times surmised that Appalachia tends to have more blue-collar workers, a group that statistically is more likely to be injured on the job and prescribed some sort of opiate painkiller. The circumstances that lead each individual person to the drug are uniquely personal, though state health officials say that about 75 percent of heroin users got a start with prescription pills. In 2014 Tennessee ranked second in the nation in the number of prescriptions issued per capita, and third in opiate prescriptions. Only Alabama and West Virginia saw more opiates prescribed per person that year, according to Centers for Disease Control and Prevention figures. In the mid-1990s the number of opiates being prescribed began to rise. The American Pain Society, a professional organization focused on efforts to “reduce pain-related issues,” started campaigning in 1995 to encourage doctors to treat pain as the “fifth vital sign,” contributing to a shift in professional culture. The following year Purdue Pharma went on a marketing blitz after the Federal Drug Administration’s approval of its new pill, Oxycontin. Purdue spent $207 million on its launch and doubled its national sales force. By 2010 it was pulling in profits of $3 billion annually, court records cited by the Los Angeles Times show. In 2001 Tennessee legislators passed the Intractable Pain Act, a law requiring doctors to either prescribe opiates for pain or provide patients with a list of places they could get the drugs, including pain clinics. When it was repealed in 2015, Sen. Janice Browling, R-Tullahoma, said the original bill had been “well-intentioned,” but was largely “based on intentional misinformation” provided by Purdue Pharma at the time. Its effects linger. A total of 1,263 Tennesseans died from an opiate-induced overdose in 2014, according to TDH figures. Of those, 133 were in Knox County, a rate of 29.6 overdoses per 100,000 people. Comparatively, it claimed 129 lives in Davidson County (19.3 per 100,000 residents) and 148 in Shelby County (15.8 per 100,000 residents), two metropolitan counties with significantly higher populations. It is impossible to calculate the per-capita overdose rate for every Tennessee county because the health department does not make data available for counties with fewer than 12 overdose deaths, citing privacy concerns. Statistics for 2015 are not yet available. That same year, in 2014, opioids killed more than 29,400 people nationally, of which some 18,890 were attributed to prescription pills. 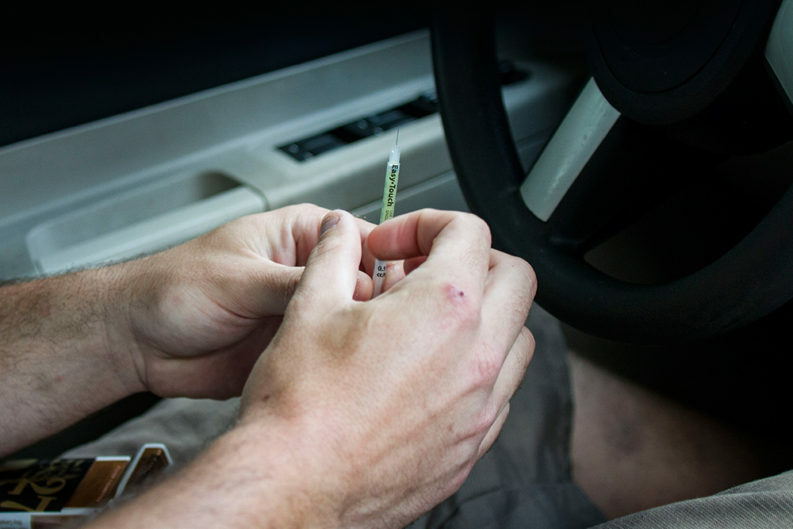 Drug overdoses now kill more people than automobile crashes, making it the leading cause of accidental death in the nation, according to the CDC. The agency now ranks it among the top five health challenges facing the U.S. Similarly, the percent of people being admitted to publicly-funded recovery programs for opiate addiction has continued to climb, and Tennessee has outpaced the national average, according to a report by the state’s Department of Mental Health and Substance Abuse. In 2014 more than half of people in Tennessee entering those programs were seeking treatment for opiate addiction. Yet some indicators show things may be on the upswing. Although deaths and arrests have continued to climb in recent years, the number of pain management clinics operating in Knox County has declined some since 2011. At its peak there were 39 pain clinics operating in the county; in 2015 that was down to 34. The Prescription Safety Act of 2012 marked the first major shift. The state bill requires doctors to start referencing and updating the Controlled Substance Monitoring Database (CSMD), a statewide system that tracks each patient’s prescription history, in an effort to crack down on people “doctor shopping.” In 2011 doctors prescribing opiates were mandated to register with the state for the first time. Tennessee lawmakers continued to clamp down in 2013 by restricting pain clinics from dispensing medicine directly and limiting pharmacies to filling a maximum 30-day supply at a time, among other things. After the newest round of regulations take effect this July, medical directors for pain clinics will be required to be certified through the American Board of Medical Specialists or the American Osteopathic Association. Some studies and figures show the approach is starting to have an impact. A March report from ShatterProof, an organization dedicated to addressing addiction nationally, commended Tennessee’s progress. From 2012-2014 the number of opiate painkillers being prescribed decreased about 7 percent, and the number of patients “doctor shopping” dropped by 36 percent, according to the report. Researchers equate a 1 percent reduction in opioids prescribed with a projected 1-1.2 percent drop in future overdose deaths. Those early results may be promising, though many experts, law enforcement, and service providers say more needs to be done to fully address the issue. But often there are gaps in services or waiting periods for people seeking help. 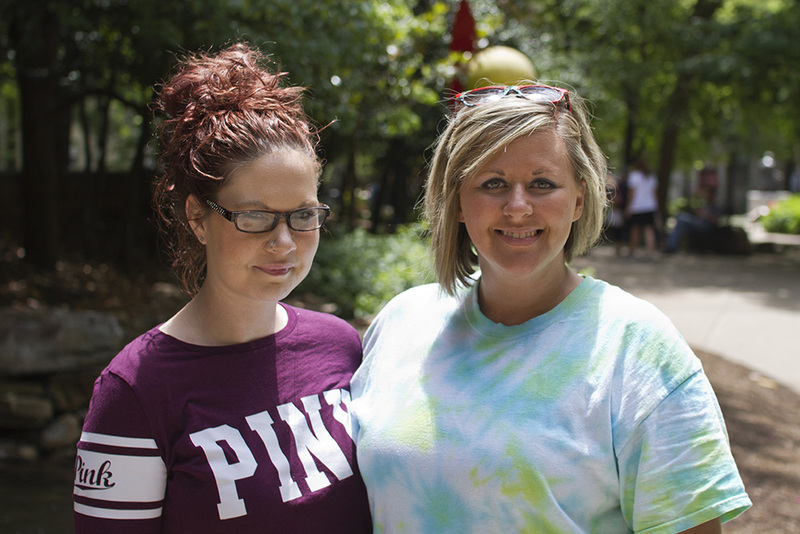 Friends Tiffany Lambert, at right, and Stephanie Holmes have known each other since they were teenagers, but recently reunited while enrolled in Knox County Recovery Court. Holmes graduated from the drug treatment program in May. Lambert hopes to graduate within a year. Tiffany Lambert knows the impacts drugs and addiction can have on life and family. She saw her marriage fail (though not entirely due to drugs, she says), lost custody of her four kids, and ended up in jail on drug charges, and then later on probation warrants and additional drug charges—twists she says have helped turn her life around, though it’s an ongoing struggle. Lambert is eight months into Knox County Recovery Court, a supervision and treatment program commonly referred to as drug court, and she’s about seven months sober. If she keeps it up, stays clean, and keeps progressing through the program, she could be back out on her own two feet by year’s end, though she’s not trying to rush it. She knows that once the support system is gone, it will be up to her to maintain and rebuild what she’s lost. At 34, she’s excited to have just landed a job at Wendy’s, though a decade ago, if you were to ask her, she would have never imagined herself battling drug addiction, being caught up in the justice system, or working a minimum-wage job. She “grew up in church” with loving, supportive parents, and she held a good job at a bank before a medical condition at 26 started her down this unlikely path. She was prescribed Percocet to help manage pain associated with a bladder disorder and fibromyalgia, she says. From there things slowly began to unravel, though it took years on a downward trajectory before hitting bottom. Originally, her doctor prescribed her pain medication for about four months before referring her to a pain clinic, where practitioners are more skilled in long-term pain management techniques. But Lambert balked, saying she didn’t want to get hooked like so many others she knew. It turned out to be too late. Within a few days she started feeling sick and got the shakes. She was going through withdrawals. Feeling as though she had no other options, she started asking around, looking for a fix. “It went from one pill every couple of days, to one pill a day, to several pills a day. Over the course of a year it just got worse and worse, until I finally told my dad that I’ve got a problem and need help,” she says. That was in 2009, though it would take several stints in rehab and, ultimately, enrolling in drug court (she was facing a potential prison sentence if not accepted) before she could truly start getting her addiction in check. She was eventually prescribed Suboxone, a semi-synthetic opioid derivative used to treat addiction, which she often used or traded for other drugs, including crack cocaine. It got that bad. She knows staying sober is going to take an ongoing effort, a never-ending commitment. It’s a daily struggle, but she says she’s optimistic, driven by the prospect that one day she may regain custody of her kids. Recovery Court in Knox County is strict, strenuous, and—for some—a daunting if not impossible feat. But Lambert knows it can be done, even if the overall odds may be against her. Her childhood friend, Stephanie Holmes, graduated from the program just last week after nearly two years of jail, halfway houses, 6 p.m. curfews, treatment programs, group meetings, weekly checks with the judge, countless drug tests, and other requirements. Drug court at the moment has a big enough staff to supervise up to 90 people at a time, with programs averaging 12-18 months, depending on the person and the progress he or she makes. Over the 16 years, since it was founded in 1999, about 150 people have successfully graduated from its ranks. There are several basic steps to recovery, though exact plans are usually catered to the individual. Generally, if someone has a physical addiction to opiates (or other drug) they first go through detox, the process of weaning off a substance and getting clean, which is usually medically supervised at a hospital or other facility. Then could come inpatient treatment, depending on the severity of a person’s addiction. Those usually average 21-28 days. The next step could be intensive outpatient treatment, which could involve living in a halfway house as the person continues attending meetings, counseling sessions, or other support services. Even after that, some people continue in transitional housing as they work to get their life back on track and eventually find a place to live on their own. It all takes time, but research shows treating addiction can be more cost-effective and produces better overall outcomes than just locking someone up in jail or leaving those issues untreated, according to a 2004 report from the Justice Policy Institute and other studies. As the number of people seeking help for opiate addictions have continued to climb, it has outstripped the capacity for many treatment programs, including drug court. That program is available for some caught in the justice system, if they meet specific requirements, but it faces many of the same challenges as many other recovery programs. A major issue is capacity, and that’s tied to funding. There’s far more demand than there is supply for drug treatment programs and halfway houses. At times, drug court participants have been forced to stay in homeless shelters while waiting for a bed at a halfway house. Lambert is fortunate to have stable parents and a supportive home environment, which allows her the unusual arrangement of being able to live with her folks while going through the program. Knox County is also looking at opening a “safety center,” or diversion center, a facility with a small number of beds to accommodate and offer services to current county jail inmates with substance abuse or mental health issues. Sheriff Jimmy “J.J.” Jones has estimated about 25 percent of people currently in the county clink meets those criteria. The county has committed $1 million to opening that facility in the past, and Knoxville city officials have also said they support the idea. 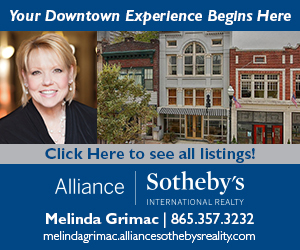 The county has earmarked $200,000 in next year’s budget to fund such a center, if it were to open, and Knoxville City Council recently gave initial approval to chipping in the same amount. It is set to make a final decision on June 7. Overall plans for the center are still in the works, and exact construction costs are unknown, but Jones has said he hopes to see it open before his term as sheriff ends in 2018. There are a number of private treatment facilities in East Tennessee and elsewhere that may have immediate openings, but they can also come with a hefty price tag. Publicly-funded programs, or those that don’t require insurance or a large lump-sum to get in, can have lengthy waits. 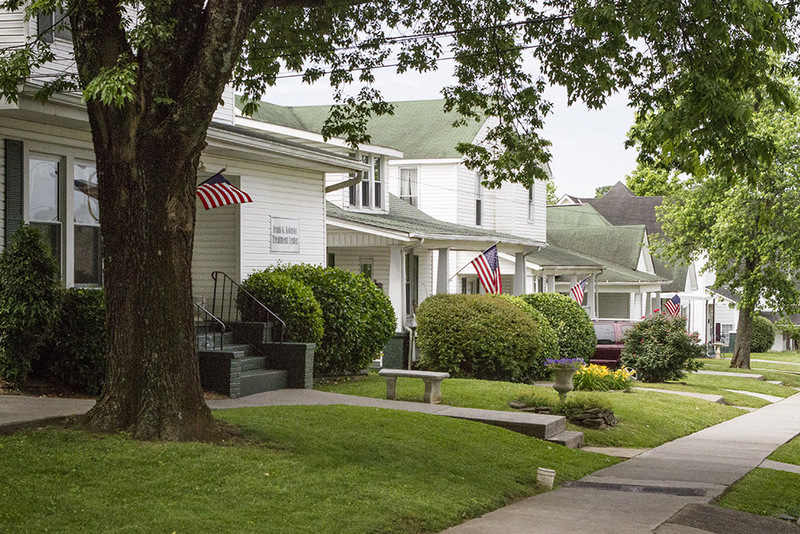 “We definitely have a lot more people trying to get into the program than we have space for,” says Hilde Phipps, director of adult addiction services at the Helen Ross McNabb Center (HRM), a nonprofit that offers substance abuse, mental health, and social services in 20 East Tennessee counties, including Knox. HRM has a total of 15 detox beds, eight of which are “crisis detox beds” for circumstances that require immediate action. The other seven beds have a waiting list of more than 1,000 people vying for a spot. Similarly, there are about 200 people waiting for one of 19 inpatient beds in its residential treatment program. It currently takes about eight months to get a bed in one of the halfway houses run by the E.M. Jellinek Center in North Knoxville. The nonprofit tries to get people immediately into one of 12 slots in its recovery program, a treatment that generally runs 21-28 days and costs $3,000, according to assistant director Sandy Kolinsky. “A lot of these people don’t have insurance, so they’re really between a rock and a hard place,” she says. At the end of the day, though, the road to recovery rests on the will and actions of the person taking that journey, something Lambert says she has come to realize as she’s started down that path. She has been through recovery before and relapsed, but she sees hope in her future. James Gilman* prepares to inject “Roxy,” or Roxicodone—crushed and added to water. James Gilman shows back up in the late afternoon with $60 in cash. Earlier he set out for an unnamed suburb with a bold plan to heist a trunk full of power tools, but he changed course after growing paranoid that store employees were on to him. Maybe they were. This wasn’t his first rodeo. This is just another Thursday. So he cleaned out the meat section of a grocery store instead, this time going for racks of ribs he knew Meat Man would be happy to pay cash for. He pushes on the gas as he merges onto I-40 West, eager to make good time to Morrell Road where he’ll call Dope Man and wait for further instructions on where to meet. It’s always in public, but sometimes involves a game of hopscotch: parking, waiting, getting a call, moving to a new location, parking again, waiting longer. This time it takes about 45 minutes and three parking lots. Gilman is anything but patient. He’s itching for the drug. He fidgets in the driver’s seat as he voices suspicion that the reporter riding shotgun may, in fact, be a KPD informant. A tidal wave of gray storm clouds start to roll in overhead as he sits and waits, a foreboding addition to this tumultuous day. It’s not even 4 p.m., a time when most people are still stuck at work daydreaming about life after hours. For Gilman, what happens after this doesn’t really matter, he says. His only goal is to connect, inject, and release. Finally he has it. That $60 only amounts to a $20 bag, about .12 grams, he figures, because he owed Dope Man the other $40. (He says he was “dope sick” a few nights before, out of cash, when the dealer fronted him a bag, putting him in debt. “He knew I was good for it,” he says.) Before the drug dealer’s car is even out of the parking lot, Gilman dumps the powder in a bottle cap and begins to rig up. He’s parked in front of a pizza shop in a tiny strip mall. When he was waiting on the dealer he seemed to be suspicious of everything, keeping a keen eye on his surroundings. But now, drug in hand, his focus shifts solely to satisfying the craving that has been gnawing at him all day. It’s the same craving that has put him at odds with family, led him to steal from friends and girlfriends, landed him in jail, and nearly cost him his life. It may still. None of that matters though, at least not here, not now. Gilman pokes the needle into his forearm, draws a small amount of blood into the syringe to make sure he’s in a vein, and pushes down on the plunger. *James Gilman is an alias. Some details have been changed to protect his identity.